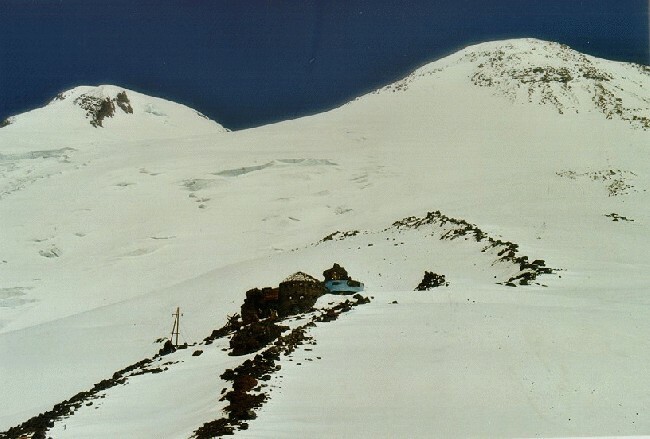 The remains can still be seen although there is no real option to camp in the hut. Now a new hut is being built, the Diesel hut. In the the twin summits of Elbrus can be seen, the West summit (left) is the higher one: 5642m.